JK Handley was on the list of Bottesford Absentee Voters, 1918-19, where his home address was given as Normanton Road. His Service Number on the list appears erroneously as 200928, but was in fact 200923. 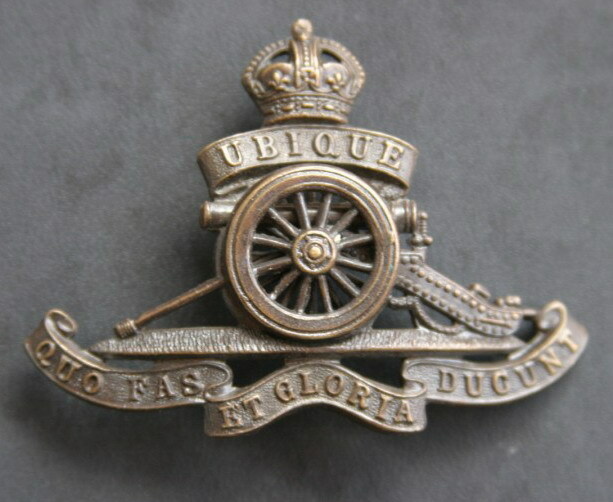 He was a Driver in E Battery, RHA (Royal Horse Artillery and Royal Field Artillery). John Kirton Handley was born in July 1898 in Bottesford. His father was John Lewty Handley, born in Sedgebrook in 1871, and his mother was Mary Handley (nee Kirton), born in Long Bennington in 1877. In the Census of 1901, John Lewty Handley was recorded as the manager of the Bottesford Gas Works, and the family lived at Gas Works Cottage, The Green. In 1911, the family lived at 6 Barkestone Lane. This could have been one of the cottages on the left side of Barkestone Lane, next to the allotments that were then in existence. In addition to John and Mary Lewty, there were now six children, John Kirton Handley (aged 12), Charles William (11), Frances (10), George Frederick (7), Alice Jane(4), and Elizabeth May(2). John Lewty Handley’s occupation at this time was described in the Census as that of a brewer and groom. John Kirton Handley was still at school, and would not have been eligible to enlist until 1916 (unless he signed up under-age). Few details of J.K. Handley’s service career have been located. The Absentee Voters list tells us that John Kirton Handley was Driver 200928 ( 200923), E Battery, Royal Horse Artillery (RHA). (Information from ‘The Long Long Trail’ website) A and B Batteries, RHA, were based in August, 1914, in Ambala, India. B Battery moved to England in November 1914, and joined XV Brigade RHA. John Kirton Handley was awarded the British War Medal and the Victory Medal. John Kirton Handley married Elizabeth Elson in September, 1925, in Grantham. He worked for the EMEB (East Midlands Electricity Board) in Grantham. In April, 1954, he tragically lost his life in a road accident when travelling as a passenger in a lorry towing a low-loader along London Road, Grantham. The lorry was travelling to the British Marco works, located in Grantham. There was a collision with a northbound lorry and Jack together with one of his workmates were killed. His obituary published in the Grantham Journal noted that he was born in Bottesford and had served in WW1. He had recently completed 25 years service with EMEB.